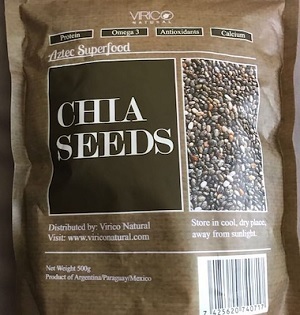 Best Places to Buy Chia Seeds in Singapore - Prices, Recipes and Benefits! Chia seeds have achieved a stellar reputation as a superfood. A superfood is defined as food that has exceptional properties that are helpful to your health. 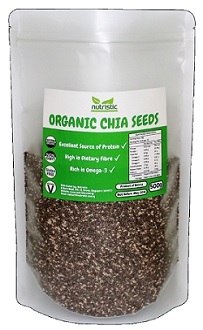 Chia seeds are high in fibre, protein, omega-3 fatty acids and antioxidants. No wonder it is increasing in popularity, especially among the more health-conscious folks. So why have they become so popular? Part of the reason is that it’s super easy to add chia seeds into your diet. It is neutral-tasting, so you’re unlikely to dislike it. Everyone can add a spoonful to anything they are eating. With their long shelf life, adding them to your pantry is a no-brainer. One single serving of only 28 grams contains a whole load of healthy goodness. There are 11 grams of fibre, 4 grams of protein, calcium, manganese, magnesium, phosphorous, zinc, vitamin B3, potassium, vitamin B1 and vitamin B2. Pretty amazing yes? Chia seeds are full of antioxidants. In fact, it is one of the foods with most of it per gram in the world. Antioxidants can help to repair, rejuvenate and protect our skin. Want to look young? A spoonful of chia seeds a day may be the answer. One single serving of chia seeds is sufficiently for our recommended daily fibre intake. 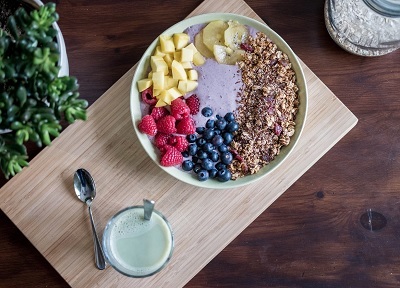 Fibre improves our digestive system and helps to ensure our bowel movements are regular. If you have a history of lousy digestion, do give chia seeds a try. 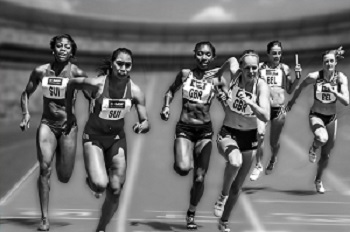 Chia seeds are popular among athletes before they exercise. When compared to energy drinks, chia seeds are shown to be as good in driving higher performance levels. 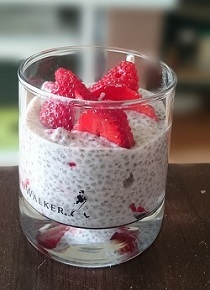 Next time before you exercise, why not try a simple chia seed water recipe? You may just find yourself running a little faster and longer. One small serving of chia seeds is only around 100 calories. That tiny serving absorbs water and expands in the stomach. What this means is a small portion will fill you up much faster than most foods. You are unlikely to feel hungry after having some chia seeds. Say bye to overeating and snacking! There was a study conducted on patients with type 2 diabetes. One group of participants had chia seeds included in their diet over a 12-week period. After that, they were examined, and positive results were seen in their blood pressure and sugar levels. This benefit of chia seeds is relevant especially to Singaporeans because we as a nation seem prone to diabetes. The easiest way to include chia seeds in your diet is just to add them into water. Just combine around 40 grams of chia seeds to about 1 litre of water. Let it soak for about half an hour. If you want to jazz up the drink, try supplementing it with cut fruits like apples, oranges or grapes. Like a little tanginess? 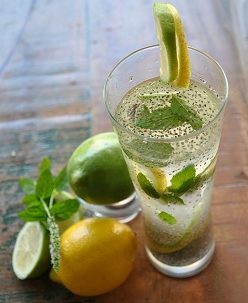 Squeeze a little lemon, lime or any citrus fruit into the water! Boring old water isn’t your thing? Consider adding chia seeds to freshly squeezed juice instead. Any fruit juice will do. Add the chia seeds into the juice in a 1 to 10 ratio and let it sit for about 30 minutes before enjoying. Creamy, tasty and nutritious. Finally, a healthy dessert for those with a sweet tooth! Add chia seeds to liquids like almond milk or fruit juice in a 1 to 6 ratio. Put on a dash of honey and vanilla for that extra boost of flavour. After combining all the ingredients, let it sit in the fridge for at least an hour or overnight. Feel no guilt when you enjoy it! Add more textures to any dish with a small spoonful of chia seeds. It can add much-appreciated crunch to meals like salads, breakfast food like oatmeal and drinks like smoothies. Are you enjoying a greek yoghurt? Make it even healthier with a sprinkle of chia seeds on top. Unfortunately, most baked goods are supremely unhealthy. With chia seeds as a substitute for some ingredients, you can enjoy yummy baked food without feeling guilty. Eggs can be replaced with chia seeds. First, grind up some chia seeds. Mix it with water, and it will resemble the sticky texture of a raw egg. 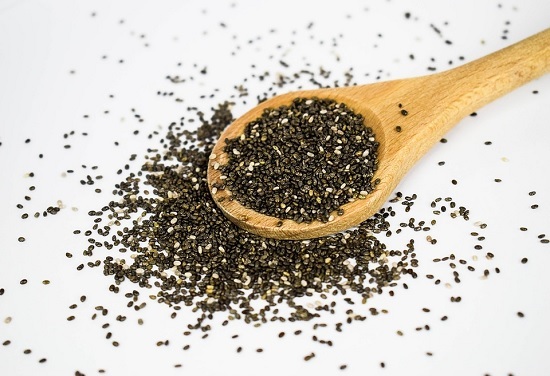 Instead of fat like butter, oil or ghee, chia seeds can provide healthier fats instead. Similarly, mix chia seeds with water in a 1 to 8 ratio. Leave it alone for 15 minutes, and you’re all set to go. 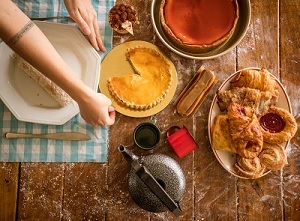 Flour is one of the core ingredients in baking. You can substitute part of the flour for chia seeds. Use ground or powdered chia seeds to replace one-quarter of the flour the recipe needs. Revolutionize baking by making it healthy with the magical chia seeds. 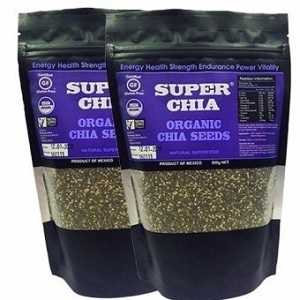 We are huge fans of buying chia seeds online. Quality of the seeds is comparable to those found in retail outlets. 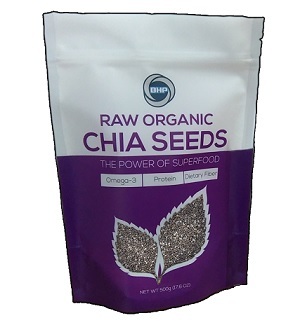 What is most attractive is that chia seeds found online are generally cheaper than in the store. So why not be healthy and save money at the same time! 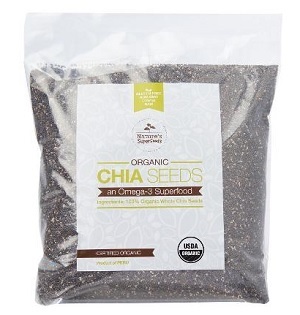 Here are some great deals for affordable and quality chia seeds! From our research, these are the physical retail stores that do sell chia seeds. Fairprice NTUC is probably the most-visited Singapore grocer. It sells quite a decent variety of chia seeds. The brands stocked are Five Loave ($19.90 for 150gm), The Chia Co ($15.90 / 150gm), Nature’s Nutrition ($36 / 1kg) and Morlife ($19.90 / 500gm). Cold Storage carries Bob’s Red Mill ($18/95 / 450gm). Guardian sells MorLife Black Chia Seeds ($49.90 / 1kg) and Nature’s Heart ($19.90 / 1kg). Join the healthy chia seeds family and try out a packet today!